Lac Lacquer Lacquest — Sydney L. Moss Ltd.
Sydney L. Moss Ltd publishes its long-awaited lacquer publication after several years of research, and of acquisitions in what will come to be regarded as a golden age of the availability of fine old inrō. 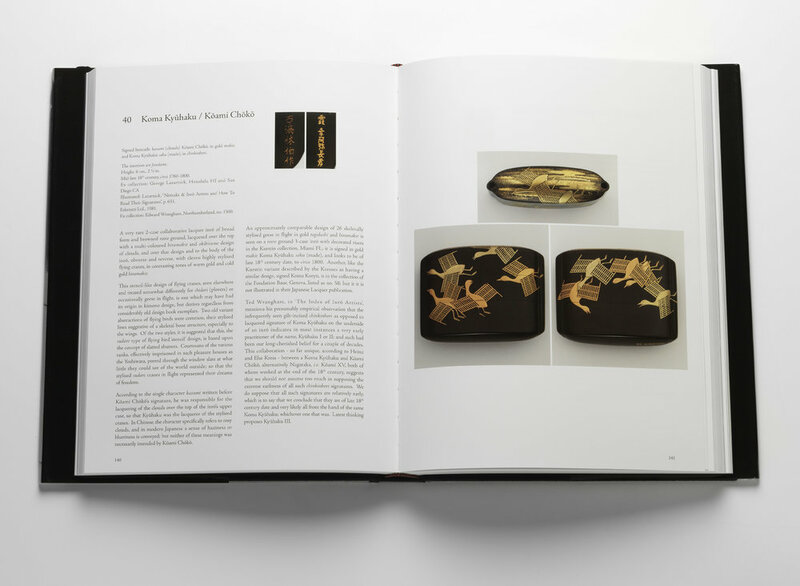 Building upon our 2010 book "they are all fire and every one doth shine", the catalogue of the Elly Nordskog collection, Lac Lacquer Lacquest surveys the Moss crew's own ideas about what precisely makes great inrō and other Japanese art lacquers. Hollis Goodall contributes an essay about the impact of fox folklore on Japanese art, ‘The Single-Minded Duplicity of the Fox’, while Paul Moss presents intriguing information about French collectors of inrō since the late 19th century; he also interprets important new Japanese research on the Koma lineage of lacquer artists, and writes in some depth about a few especially documentary Koma inrō. Throughout the 352 pages and 354 illustrations of this lavish hardback edition, beautifully and self-indulgently illustrating 125 highly worthwhile inrō and 10 remarkable Japanese lacquer boxes, both old hands and neophyte collectors will find arcane yet enlightening information and extremes of aesthetic and technical achievement to make their hearts beat faster.